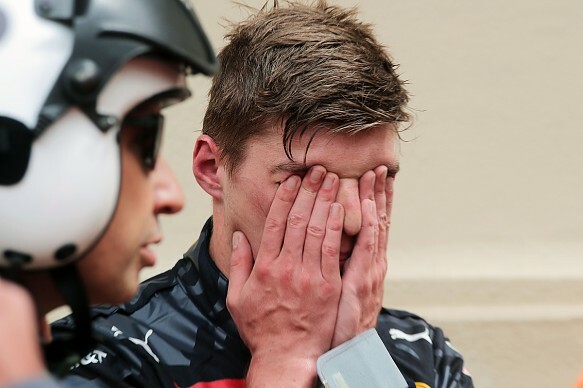 Max Verstappen has apologized to the Red Bull Formula 1 team for the two accidents that wrecked his Monaco Grand Prix weekend. 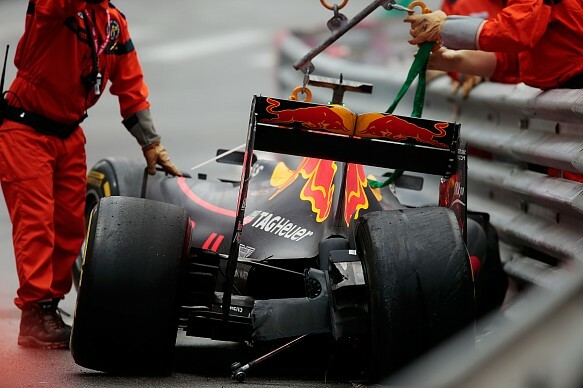 On Saturday Verstappen crashed on the exit of the Swimming Pool complex in qualifying, prompting an overnight chassis change and a pitlane start. After fighting his way up to ninth during the race, making some bold overtaking moves in the process, Verstappen then smashed into another barrier at Massenet. Coming just two weeks after the victory on his debut for Red Bull in Spain that made him the youngest race winner in F1 history, Verstappen was inevitably annoyed with himself. “In the end, I have to apologize to the team because they worked really hard to get the car prepared – it shouldn’t have happened and I didn’t give them the result they deserved, and I’m very sorry for that,” he said. He had been optimistic about the progress he was making through the field up to that point. “Up until the crash I was feeling good,” said Verstappen. “I had good pace, especially on the intermediates once I had some clear air, I did some overtaking, so it was all pretty good. “But unfortunately on this track, especially in the half [wet]-half [dry] conditions, if you lock up a bit and go a bit off-line, it’s very easy to go off track, and that’s what happened. Though Verstappen’s Monaco result was a stark contrast to Spain, team principal Christian Horner believes the 18-year-old will learn from it. “He’d had a very strong first half of the race, made some very good overtaking moves, made good progress, was running in the top 10 and he was pushing on,” said Horner. “He saw [Nico] Rosberg wasn’t that far ahead. Unfortunately the conditions just caught him out at the top of the hill – he wasn’t the only one caught out. “It’s been a very contrasting weekend for him compared to two weeks ago, but it’s all part of the learning curve he’s on. The trajectory you can see is still extremely impressive. He’s going to learn, and I doubt you’ll see him make the same mistakes this time next year.